Ever wonder what your doctor meant when ordering a complete blood count or “CBC”? In this article, we’ll break down the different diagnostic markers associated with this blood test, as well as what it means when you’re out of range. A complete blood count (CBC), also known as a complete blood cell count, full blood count(FBC), or full blood exam (FBE), is a blood test often ordered by a doctor in order to get information on the current health or number of the cells in a patient's blood, such as the cell count for each cell type and the concentrations of various proteins and minerals. A phlebotomist usually draws the patient’s blood into vials and sends it to a lab, where a lab technician performs the requested testing and provides the physician with the results of the CBC. A CBC is routinely performed during annual physical examinations in addition to other blood tests like a Complete metabolic panel (CMP), lipid panel, and Hemoglobin A1c. Collectively these tests are ordered as a routine General Wellness Panel to give the doctor a broad overview of a patient’s health. Any abnormalities seen in these tests help doctors narrow down the source of illness via diagnosis or by ordering more specific blood tests. What Does The Lab Test For In A CBC? We’ll examine each of these, see why they matter, and what it means if you’re results are out of range. 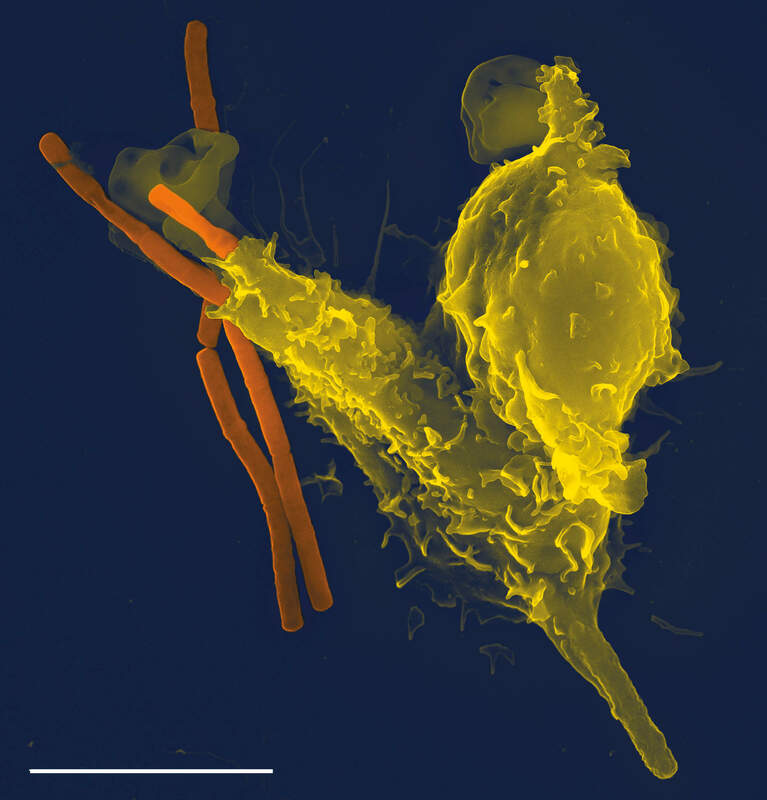 Neutrophil engulfing Anthrax bacteria. Source. 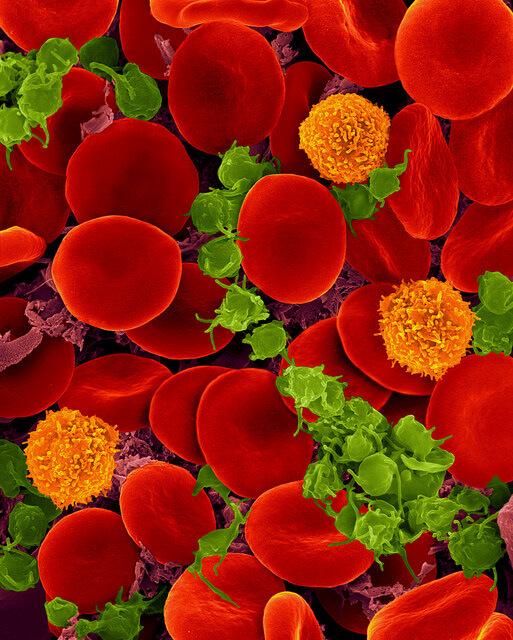 Within the class of white blood cells exist 5 types: Basophils, Eosinophils, Lymphocytes, Monocytes, and Neutrophils. Collectively they form the defense systems our white blood cells are known for to fight infections in the body. The typical reference range you’d want to fall into is between 3.8 – 10.8 thousand/uL of blood. This is the measurement of how many blood cells you have in your system, per a specified unit of volume. The role of red blood cells is to both carry oxygen to and carbon dioxide away from the various organs and tissues of the body. Known as Polycythemia, this can stem from having low oxygen levels in the blood, resulting in your body producing more red blood cells to compensate. This is why we see people who live in higher altitudes with an above average amount of red blood cells vs. people at sea level. However for those who do not live at high altitudes run the risk of developing heart disease, chronic obstructive pulmonary disease (COPD), Pulmonary fibrosis (scarred and damaged lungs), and many other cardiovascular related diseases. This is why it’s very important for those on Testosterone Replacement Therapy (TRT) to order frequent bloodwork. You want to make sure you’re not at risk for developing clots due to increased RBC production. For those considering TRT, you should get tests done beforehand to establish a baseline, followed by routine blood work every 6 weeks. Your physician may recommend different intervals depending on his/her preference so as always, consult your physician before changing any of your routine blood work. One of the more commonly known results of a low RBC count is anemia. There’s a variety of reasons as to which type of anemia you have and why, to read more, check out our article on The 7 Different Types Of Anemia You Should Be Aware Of. Platelets assist with during injuries by clumping together, forming a blood clot. Normal lab values for platelets range between 140-400 thousand/uL. Known asThrombocytopenia, people who suffer from this will be more prone to nosebleeds and easily bruise, due to lack of clotting. Note that this is different from people with Hemophilia, who actually have normal platelets but are lacking clotting factors (VIII). 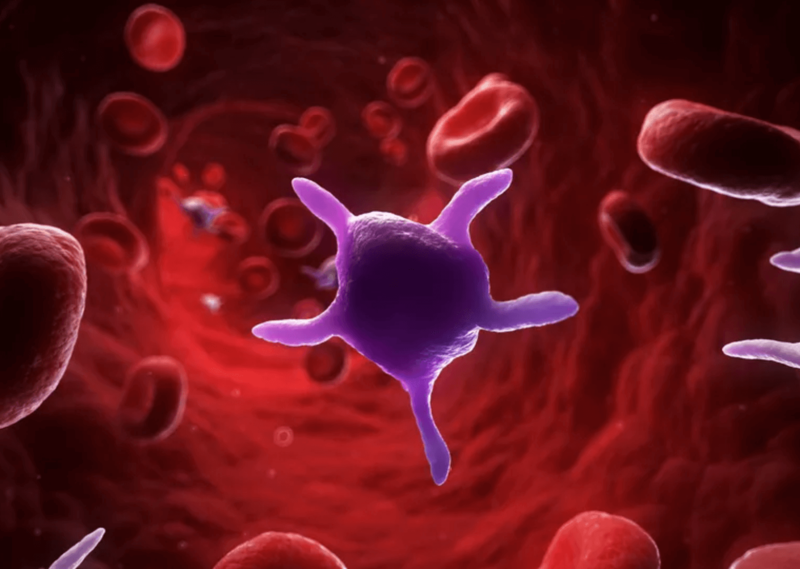 Thrombocytosis is when a person’s body produces too many platelets in the blood, putting them at an increased risk for heart attack or pulmonary embolisms. 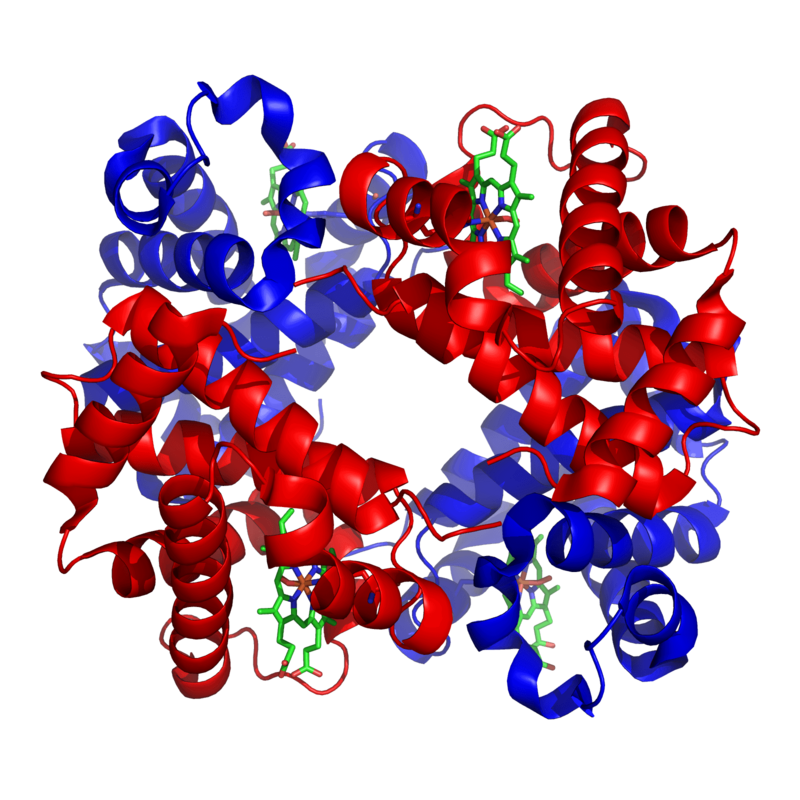 Not to be confused with the glucose blood test Hemoglobin A1c, Hemoglobin is the iron-containing oxygen transport protein that allows for oxygen to be carried by red blood cells. Normal lab values for Hemoglobin range between 13.2-17.1 g/dL. Finally, we have hematocrit, which is the ratio of the volume of red blood cells to the total volume of blood. Normal lab values for Hematocrit range between 38.5-50.0% of total blood volume. Pregnant women often have slightly lower levels due to the additional fluid in blood. Keep in mind that for the majority of people, anemia or illness from an infection (cold/flu) are most often the reasons for abnormal CBC results. The classic “Cancer-AIDS” diagnosis people always find on WebMD is the last thing doctors will jump to and so should you when worrying about what the cause could be. Speak to your physician or health specialist about your results to ensure proper diagnosis, treatment, or any additional tests need to be requested. Remember, this is part of a larger set of tests commonly ordered by physicians (lipid, Hemoglobin A1c, Complete Metabolic Panel). If you’re interested in ordering a panel of tests that include all of the above, check out our General Wellness Panel today.